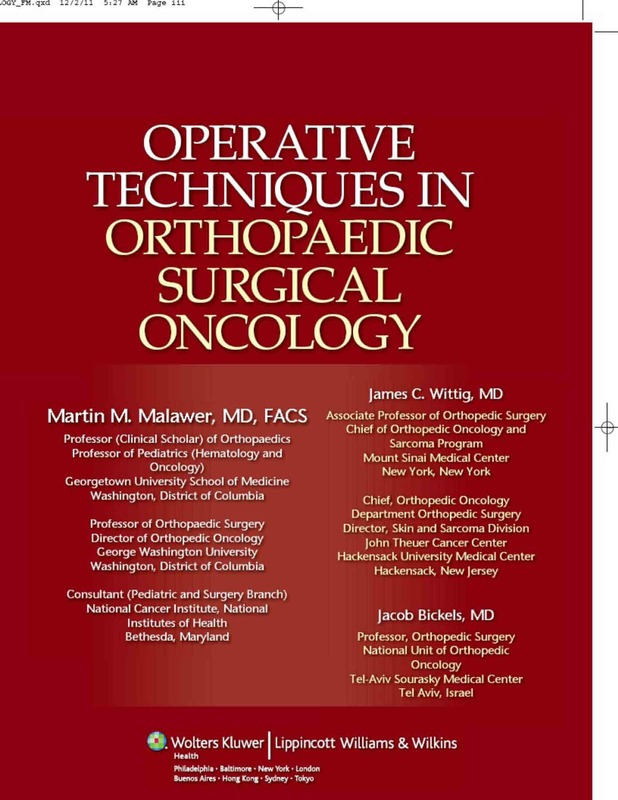 Leading Orthopedic Oncologist James C. Wittig, MD, along with Martin Malawar, MD; and Jacob Bickels, MD, have co-authored Operative Techniques in Orthopedic Surgical Oncology, the third book in a series published by Lippincott Williams & Wilkins. The 416-page volume documents and details the progress and innovations made in surgical techniques in the field of Orthopedic Oncology. The reference book is intended to be a handbook for Orthopedic Surgeons in all stages of their schooling and career and provides an ideal companion for those undertaking the complex care and treatment of patients afflicted with bone and soft tissue sarcomas as well as other types of benign musculoskeletal tumors. 25 surgical videos, edited and correlated with most chapters. 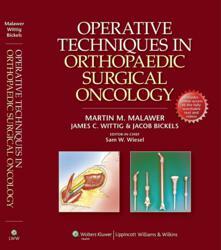 Operative Techniques in Orthopaedic Surgical Oncology is published by Wolters Kluwer Lippincott Williams and Wilkins and available to purchase on Amazon.com. James C. Wittig, MD, Author, Professor & Lecturer, specializes in limb-sparing surgery; pediatric and adult bone and soft tissue sarcomas; benign musculoskeletal tumors; metastatic cancers as well as complex hip and knee replacement surgery. 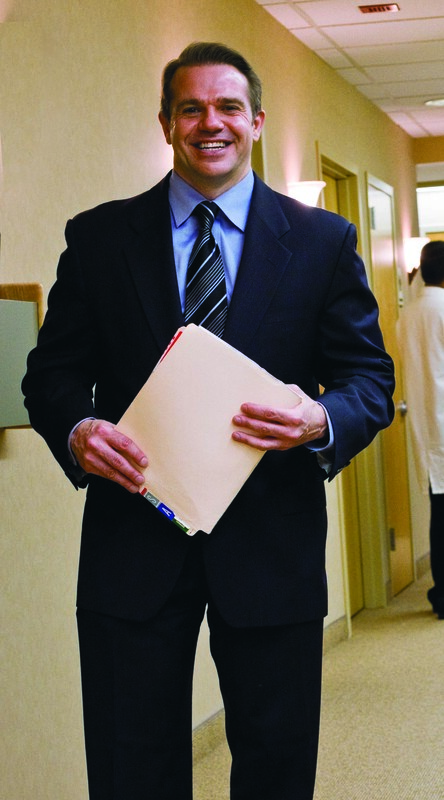 He also has special expertise with regard to tumors that affect the shoulder girdle and scapula. Currently, Dr. Wittig is Associate Professor of Orthopedic Surgery, Chief of Pediatric and Adult Orthopedic Oncology and the Sarcoma Program at Mount Sinai Medical Center in New York City. Office within the Faculty Practice Suites, 5 East 98th Street, 9th Floor. as well as Chief, Orthopedic Oncology and Director, Sarcoma Section of the John Theurer Cancer Center, Hackensack University Medical Center. Hackensack office located at Continental Plaza, 433 Hackensack Avenue, 2nd Floor, Hackensack, New Jersey. He is a member of the American Academy of Orthopaedic Surgeons; New York State Society of Orthopaedic Surgeons, Inc.; and the Medical Society of New Jersey. He has published over 90 educational materials ranging from original reports, abstracts, videos and articles in the following publications: Clinical Orthopedics and Related Research, The Journal of the American College of Surgeons, American Family Physician, Journal of Arthroplasty, Radiology and Journal of Bone and Joint Surgery. He is also a prominent lecturer in the field of Orthopaedic Surgery throughout the nation. To schedule a consultation or speaking engagement, contact Dr. Wittig via his office in NYC at 212-241-1807, by email DrJamesWittig at gmail.com or visit http://www.TumorSurgery.org.